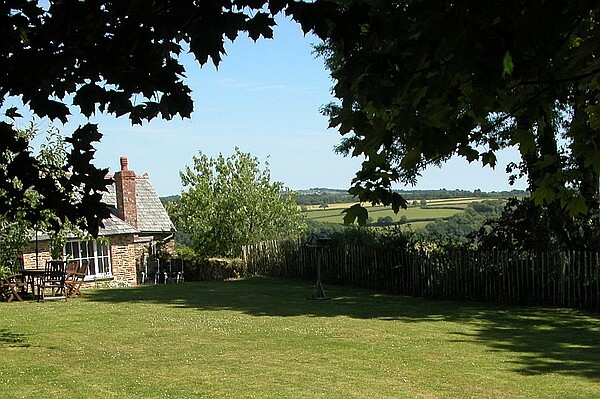 Secret Garden is a stone cottage which is more than 200 years old and has beautiful views over the farmland at Treworgey Farm. There are a number of holiday cottages on the Farm, all of which have been renovated and furnished to a very high standard, Visit England have awarded the cottages at Treworgey a 5 star gold rating. There is an extensive range of facilities at the Farm including a heated outdoor swimming pool, information room (complete with a guest computer and internet access), riding stables, hard surface tennis courts, a playground and even catering services so that you can really relax on your holiday. The cottage is single storey with just a few stairs leading to the bedrooms making it ideal for families with young children or for more elderly guests. Family Bathroom – with a WC, hand basin and bath with shower over. 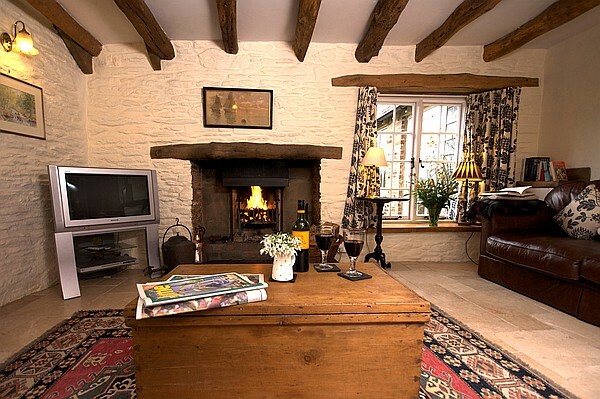 Sitting Room – is a characterful room with beams and an inglenook fireplace. There are sofas, armchairs, a freeview TV, DVD, CD player and a glass fronted log burner. 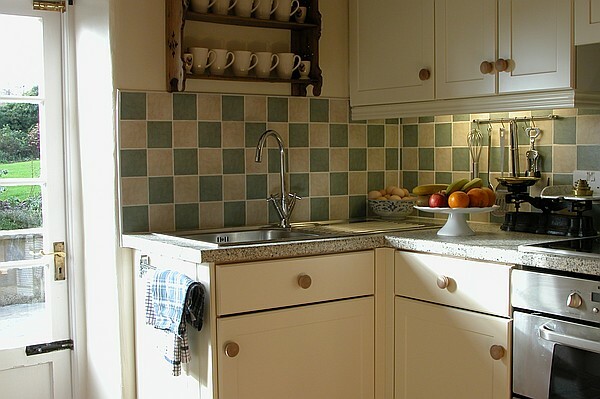 Kitchen – which is fully equipped and furnished in the shaker style. This then leads through to the dining room. Dining/Garden Room – with under floor heating leading onto an outdoor paved dining area and your large walled private garden. 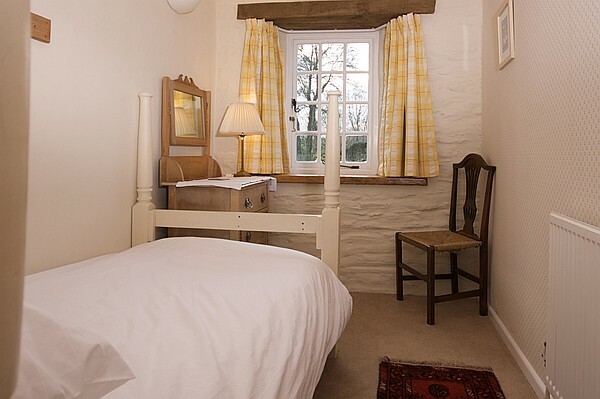 Double Room – is a romantic room with a king-size mahogany four poster bed and an en-suite shower room. Ensuite Shower Room – with WC, hand basin and shower unit. Twin Room - with a zip bed which can be set up as two single beds or a king-size bed and a wash basin. Secret Garden has a very large walled garden which was the old kitchen garden for Treworgey Manor which was destroyed by a fire centuries ago. 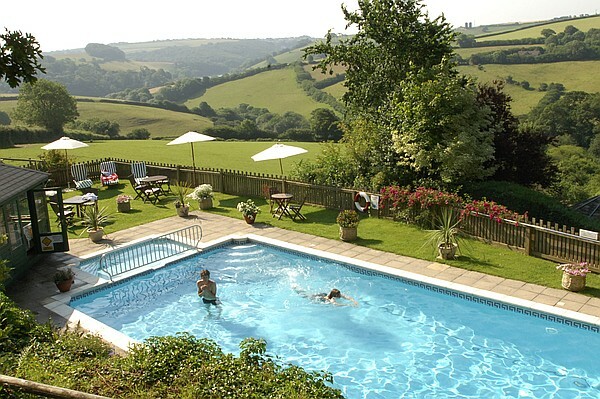 There is an outdoor swimming pool on the farm which is open and heated during the warmer months. There are sun loungers and tables surrounding the pool from which you can take in the beautiful surrounding countryside. For younger children there is a paddling pool and playpen. Ice cream is also available from our honesty-box freezer. There are two playrooms at Treworgey which have a selection of toys and table tennis as well as an indoor sandy area which can be used for volleyball or badminton, younger members of the family can use it as a giant sand pit using our buckets and spades. There is also an outdoor playground which has a climbing frame, swing, slide and ropes, sandpit and a Wendy House. On site there is a hard surfaced Tennis court which has beautiful views over the surrouding countryside, rackets and balls are available in the Information Room. All the cottages on site have Wi-Fi access but there is also a guest computer in the Information Room which has Internet but please note that the connection operates at rural speeds! 3 miles away is the quaint Cornish fishing town of Looe. Here you will find a selection of independent shops, restaurants, beaches and small boats for hire. 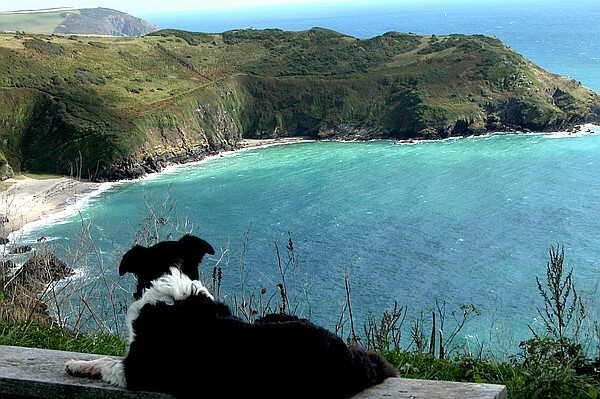 6 miles away is Polperro another Cornish fishing village, there are breathtaking views of the village from the National Trust coastal path. Fowey is 8 miles away and is a popular tourist town. The town is typically Cornish with a harbour and winding streets with many restaurants and independent shops. The Eden Project is 30 - 40 minutes drive from the Farm and makes an excellent day out. Within travelling distance of the farm there are a number of popular stately homes and gardens including the Lost Gardens of Helligan (45 mins), Lanhydrock (25 Mins) and Cotehele (45 mins). 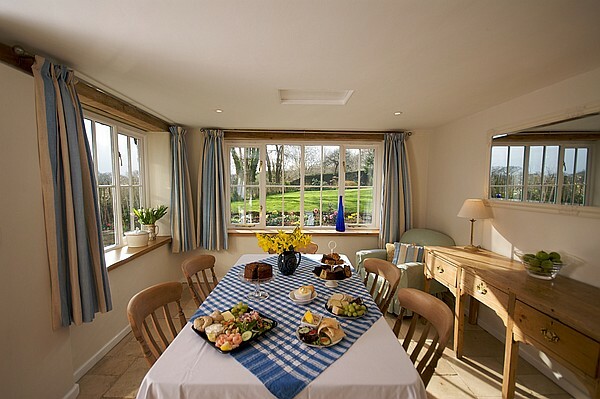 The Cottage is set in 150 acres of farmland which offers numerous walks which you are free to explore. On the horizon at Treworgey you can see the South West Coast Path which provides access to many beaches, coves and river walks. 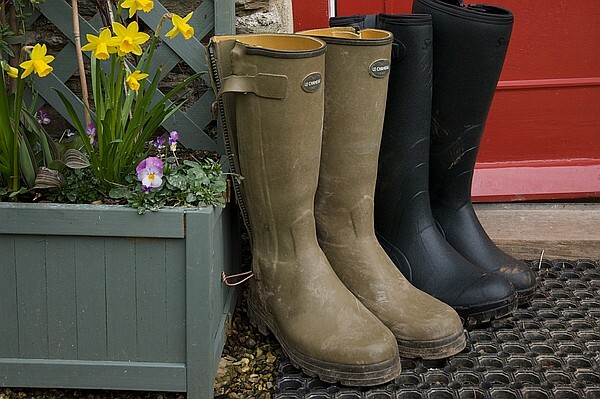 Bodmin Moor is under an hour’s drive away from the Farm, here you can find many further walks and outdoor activities. During the months when our pool is shut the indoor swimming pool at Liskeard (15 minutes) has been popular with our guests. We have our own licensed riding stables at Treworgey where both novice and experienced riders can arrange to have lessons in our all weather school on weekday mornings. Treworgey Farm is totally pet friendly not only do we cater for dogs but also cats, rabbits, tortoise and even ponies. To make our Cottages totally pet friendly we put washable throws on all sofas and arm chairs. The farmland is yours to explore but as it is a working farm we ask that you close all gates behind you and keep dogs on leads when close to any livestock. We ensure that at least one field is always empty so that there is an area where you can easily exercise your dogs freely. Due to some dogs becoming distressed when they are left alone in unfamiliar surroundings we ask that they are not left alone in our cottages. There is an Information Room which is open to everyone staying at Treworgey, here there are various facilities and items made available to guests such as DVDs, board games, sports equipment, tourist information and a computer with internet access (with rural connection speeds). In the Information Room there is an honesty box for our local produce stall which stocks items such as jams, chutneys, meat and vegetables. We can also arrange for a vegetable or meat box to be delivered for your stay. There is a catering company on the farm, Coombe Kitchen who can deliver home-cooked meals and afternoon tea to your cottage door. The cottage can accommodate 5 people + a cot for an infant. 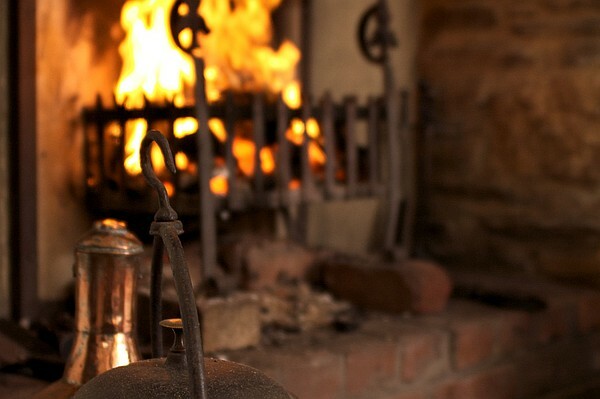 The prices quoted include all heating, electricity, linen and towels, logs and a welcome tray. 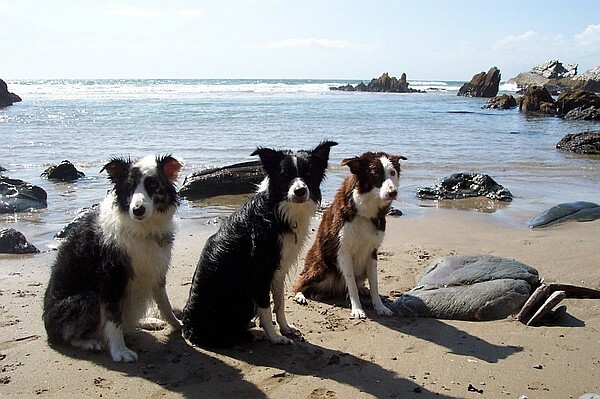 We charge £21 per dog due to the additional cleaning costs of washing all throws on sofas and armchairs and giving the cottage an extra deep clean after pets have stayed. Half the rental charge at the time of booking is due, unless your holiday is more than 6 months away. The remaining balance is then due 6 weeks before your holiday.